The current gold standard for breast cancer detection is 3-D mammography, also known as breast tomosynthesis. Breast tomosynthesis is an evolution of digital mammography that creates a three-dimensional image of the breast, which radiologists can then examine in fine detail. This technology is helping radiologists find more breast cancers earlier while reducing the odds that patients will be called back for unnecessary follow up. A study of more than 450,000 mammography exams, published in JAMA in 2014, revealed that the addition of breast tomosynthesis resulted in a 41% increase in detection of invasive cancers. More recently, a study of 15,000 women over a period of five years showed that breast tomosynthesis resulted in a 34% increase in tumor detection over traditional mammography, and most of the tumors detected proved to be invasive. Dense breast tissue presents a dual problem of increasing a woman’s breast cancer risk while making it more difficult to detect cancer that is present. A 2016 study of more than 450,000 mammography exams, also published in JAMA, found that 3-D mammography offers particular benefit for women with dense breast tissue. While the addition of tomosynthesis increased the detection of invasive cancers in both subgroups—women with dense and nondense breast tissue—this increase was greater among women with dense breasts. No one likes getting a call back after a mammogram for follow up. One of the challenges of breast cancer screening is catching as many cancers as possible without subjecting women to unnecessary medical procedures. Unfortunately, there are many benign conditions that can look suspicious on a mammogram. Another benefit of breast tomosynthesis is that it has been found to lower the rate of false positive results—and, by extension, unnecessary follow-up—by around 15% over digital mammography alone. 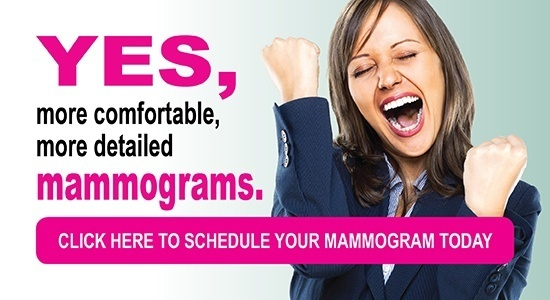 Anticipation of pain or discomfort is one of the common reasons that women avoid getting regular screening mammograms. Fortunately, modern innovations like the SmartCurve technology used at Iowa Radiology can make mammography much more comfortable than it has been in the past. SmartCurve features a curved design to mirror the shape of a woman’s breast, software that takes breast shape into account for clear images with less compression, and cushioning for added comfort. Regular mammography screening is the most effective way to reduce deaths from breast cancer. 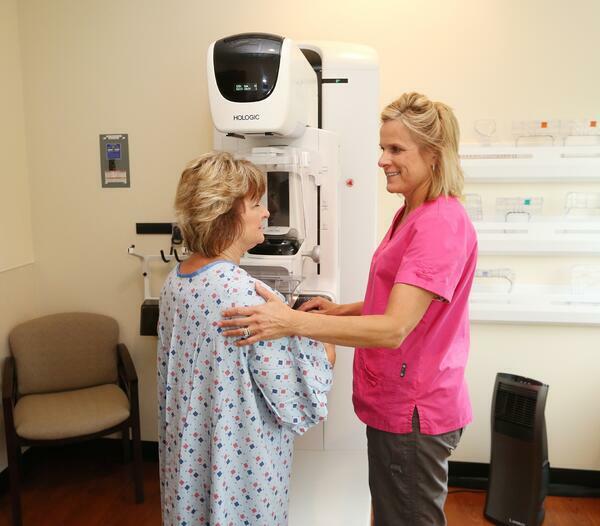 All of the mammograms performed at Iowa Radiology include breast tomosynthesis for the best in cancer detection. 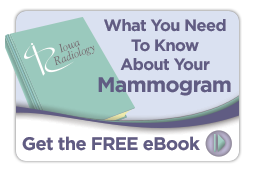 Use the links below if you’d like more information about mammography or if you're ready to schedule your next mammogram at Iowa Radiology. Bassett and Gold. "The Evolution of Mammography." American Journal of Roentgenology. American Roentgen Ray Society, March 1988. Accessed 26 Dec 2018. "Advances in Breast Imaging: Evolution & History of Mammography." radiology.ucsf.edu. USCF Department of Radiology & Biomedical Imaging, 7 July 2015. Accessed 26 Dec 2018. Friedewald, Rafferty, et al. "Breast Cancer Screening Using Tomosynthesis in Combination With Digital Mammography." JAMA. American Medical Association, 25 June 2014. Accessed 26 Dec 2018. Lund University. "3D mammography detected 34 percent more breast cancers in screening." Science Daily. 15 Oct 2018. Accessed 26 Dec 2018. Rafferty, Durand, Conant. "Breast Cancer Screening Using Tomosynthesis and Digital Mammography in Dense and Nondense Breasts." JAMA. American Medical Association, 26 April 2016. Accessed 26 Dec 2018. Skaane, Bandos, et al. "Comparison of Digital Mammography Alone and Digital Mammography Plus Tomosynthesis in a Population-based Screening Program." Radiology, 1 April 2013. Accessed 26 Dec 2018.